Injuries - Check yourself and others for any injuries and if you or anyone else need urgent medical care immediately call 911 for medical assistance. Police – If you are injured, we advise you to call the police and obtain a police report (often called a “Traffic Collision Report”) to document what occurred. While this may take some time, it often saves considerable time in the long run. We have had clients who have come to us after the other party admitted fault at the scene, but later changed stories. A clear police report may prevent this potential problem, as well as document your initial injuries as reported at the scene of the accident. 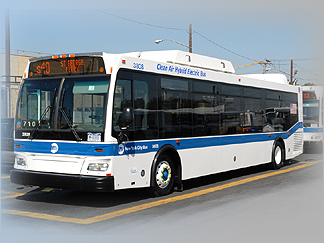 Obtain and record information – Obtain and save the bus number and all identifying information relating to the bus, including bus line and route numbers. Also obtain all names and contact information for everyone involved in this accident, including the bus driver, passengers on the bus (especially those who were injured and who witnessed what occurred), the driver and owner of each and every other involved vehicle and their passengers, all witnesses and their drivers' license numbers, if possible. Read and copy the other person's driver's license information; do not rely on them to give you accurate information orally as it may turn out to be wrong or false. For each involved vehicle, record the license plate number; vehicle description including make, model, color, anything written on the other vehicle(s) such as company names, telephone numbers, logos or other identifying information; and the location of all property damage (both from this accident and any other damage that looks old, unrelated and/or pre-existing). Other party working - If the driver of any vehicle was working at the time of this incident, obtain all job and employment contact information. Statements - Be courteous and polite, but never admit fault or liability as, among other reasons, there may be other factors that occurred that you may not yet fully understand the consequences of or know about, including the bus driver may have made a sudden or unsafe stop or turning movement. If injured, do NOT give any statements to any bus company adjuster, insurer or investigator until you consult with a California Bus Accident Attorney. Take photos - Use your camera - Take photographs of the bus and all involved vehicles, the scene, anything that contributed or may have contributed to causing this bus accident, and the people involved. Don't forget, many cell telephones also function as cameras. Take notes - Prepare a detailed sketch and summary of what occurred, including the date and time and exact location of this accident, and what you believe caused this bus accident. File all required reports with the police, your insurance company and the DMV. If you were injured, you should consult a California Bus Accident Attorney for advice before giving any statements to any adjusters, insurers, investigators or the DMV. 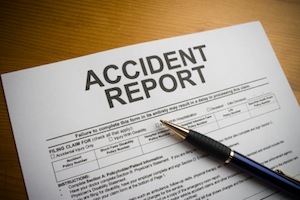 Some insurers require such reports right away or may deny coverage and if it is a hit and run or uninsured motorist (UM) claim be sure to make a traffic collision report (i.e., police report) immediately and then submit the required DMV forms, known as SR-1 and later the SR-19 form, as required. Be sure to timely comply or your injury claim maybe barred and, if you have any questions or injuries, call a California Car Accident Attorney for advice. The initial consultation with our firm is absolutely FREE! Injury Claims - If anyone involved suffered any injury requiring medical care, immediately contact an experienced California Personal Injury Attorney for help, including with obtaining medical treatment, including from doctors, physical therapists, specialists (such as orthopedic and plastic surgeons, neurologists, dentists and psychologists – usually without any payment until your claim is resolved), needed medications, scans (e.g., MRI and CT Scans) and X-Rays, surgery and hospital care (usually on a lien basis which means you do not need pay any deductible or even any co-payments until your claim is resolved); financial recovery for all pain, suffering, inconvenience, loss of enjoyment of life activities, loss of earnings and earning capacity (under California law you may be entitled to such compensation even if you were not working or even if you were paid for missed time! ); and, when appropriate, cash advances. Contact us now for a FREE consultation -- Call 818-222-3400 or toll free 1-866 Injury 2 (1-866-465-8792) (after hours, please press 1). The initial consultation is FREE and on injury cases there is NO fee with our firm UNTIL you win! The information contained in this Website is provided for general informational purposes only, and should not be construed as legal advice on any subject matter or any particular claim or case. No recipients of content from this site, clients or otherwise, should act or refrain from acting on the basis of any content included in the site without first seeking the appropriate legal or other professional advice on the particular facts and circumstances at issue from a California Bus Accident Attorney or an attorney licensed in the recipient's state. The content of this Website contains general information and may not reflect current legal developments, strategy, laws, verdicts or settlements. These Attorneys and Firm expressly disclaim all liability with respect to actions taken or not taken based on any or all of the conte nts of this general page and entire Website.